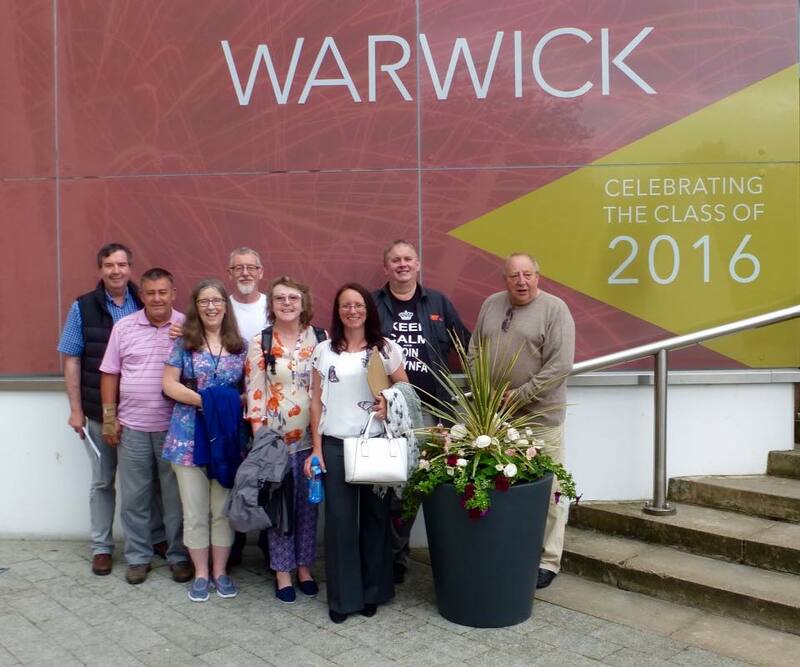 Eleven Gwynfa members attended the PAGB Inter-Club PDI Championships at Warwick on Saturday 16th July. Here are the results. Congratulations to all three WPF Clubs that took part, especially to Inn Focus who came 4th in the final. (After the first two rounds, only the top 8 clubs get to the final). Gwynfa & Tenby missed out on the top eight and went into the plate competition. (After the first two rounds. Gwynfa finished on 184 points and Tenby on 183). In the plate itself, Tenby turned the tables and finished joint 5th (99 points) and Gwynfa came 15th (95 points). Our high scoring images from the first two rounds all dropped by a point in the second round. Unlucky! The intrepid Gwynfa crew can be seen below. Laura Parker, Rob Owens and Mike Lewis all left a little earlier and missed the photo. Huge thanks to Cathy Coombs for organising the BBQ at Ogmore yesterday. Her hard work is much appreciated. Thanks also to Alec Stewart and Heidi Stewart for helping and providing some of the equipment. Last but not least, big thanks to our Masterchefs, Allan Squires and Bryan Carter. Everything was fantastic, apart from the weather. Despite the BBC’s sunny forecast, it was flippin’ freezin’. Gwynfryn takes the 2016 President’s Trophy. Gwynfryn Jones won the 2016 President’s Trophy with his print entitled ‘Ad Finem (Neat the End)’. Second placed print was ‘Kingfisher on Fence Post’ by Alec Stewart. Top DPI was ‘Johnny’ by Terry Donnelly and DPI runner up was ‘Desperation’ by Steve Littlewood. The judge was Peter Gennard MFIAP EFIAP of Smethwick.